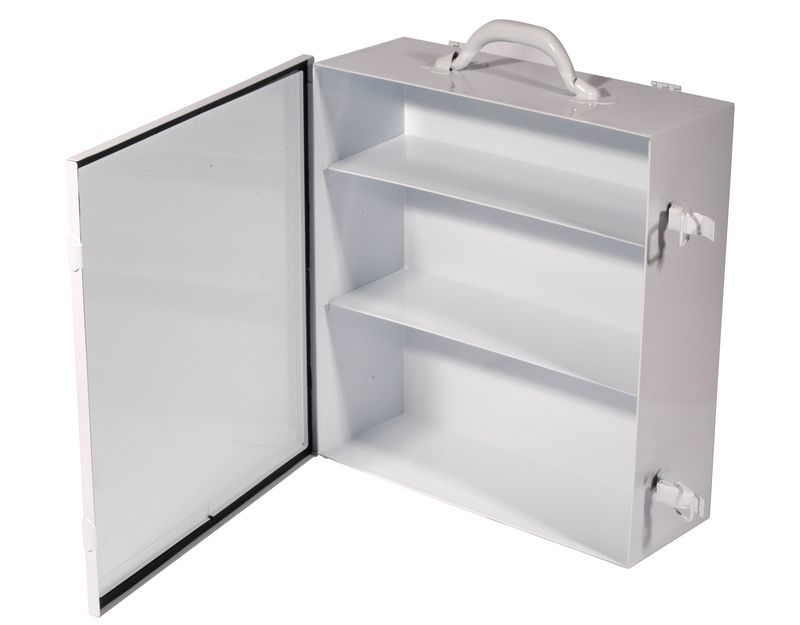 This Durable metal first-aid kit measures 15"x 16"x 6". It is a great first-aid kit for restaurants or industries that use a lot of bandaids. Kit is wall mountable.